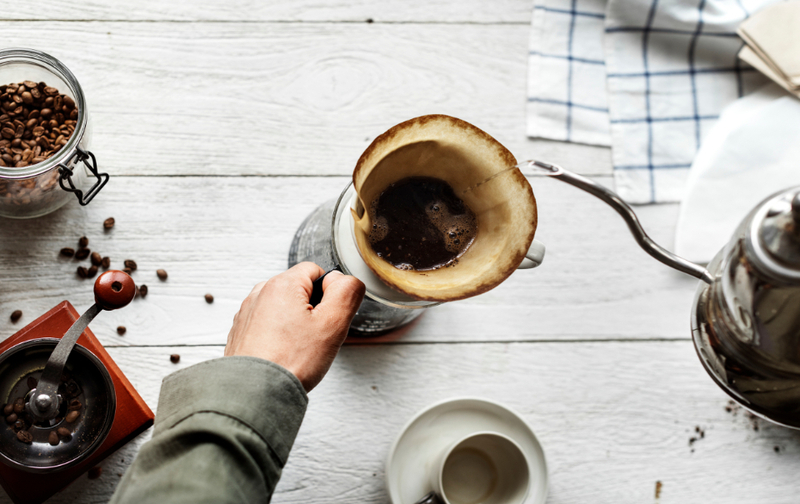 Ever since we've entered a more illuminated age of coffee consumption, the concept of flavoring coffee while brewing (usually with beans artificially flavored with ingredients that belong in a cologne factory) has fallen out of favor. And because of how bad some of those old-school "flavored coffees" were, this may be a good thing. But on the other hand, since the purpose of the fall season is to bring some amount of whimsy into our cups, perhaps it's time to revisit this concept. Of course, you'll want to take a measured approach to this experimentation. The dominant flavor should not be sugar, or a candle from that kiosk at the mall, but rather – coffee. 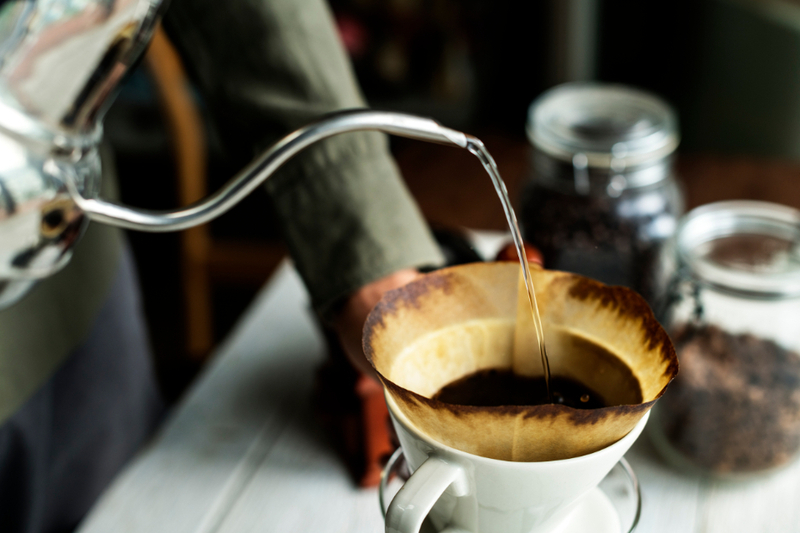 So, instead of mix-ins from factories, we present a technique you can bring to coffee experimentation to come up with something special to add a bit of cheer. For the purposes of adding subtle flavor, French press is your best method. The flavorings you want to use are things that will taste good when steeped in water. BUT! A little goes a long way. The coffee you want to use for this is something middle of the road in roast and quality––this isn't a place to use your favorite, expensive single-origin coffee. Beyond these general rules, you can go in a lot of directions with this kind of method. Some combinations that work well are flavors that you want to have as a kind of backdrop to the rest of the cup. If you break up a cinnamon stick into your french press, the taste you are going to get is the warm, subtle aroma of cinnamon rather than the front-of-the-mouth sharpness of a red hot candy. And cinnamon isn't the only place to start––cardamon is a wonderful pairing with coffee. So is star anise or some lemon zest (especially if you have a coffee whose acidity can balance with the aroma of lemon.) Here's something heretical, but really interesting, to suggest––if you like a smokey, earthy coffee, add a touch of lapsang souchong tea. The smoked tea is an ideal way to bring smoke to all kinds of food (see also: ribs made indoors), and it's the same for coffee. And to the purists, all you need to say is: if it is delicious, it can't be wrong. The thing about evocative flavors––real flavors––is that they are the result of complex chemical processes in foods. This just means that a flavor conveyed by a sweetener is going to be a little different than a flavor conveyed by a fat (like cream). So, the key thing is to let the right flavors show up in the right venues. First, there's the sweetener itself. There are all kinds of sweeteners out there and they are all going to change the flavor of your coffee in pretty huge ways. Some sweeteners you may not have tried in a cup of coffee before include: honey (and recall, there are many types of honey), maple syrup (or, if you're feeling adventurous, a combo of maple syrup and bourbon simmered together for 5ish minutes on the stove), brown sugar, crushed up butterscotch candies (have tried; well worth it, if you love butterscotch), or sorghum (if you are truly adventurous). If you are set on sugar, a sugar syrup (equal parts sugar and hot water dissolved into a liquid) is an excellent place to use flavor extracts. Extracts are, basically, flavors that have been extracted by way of alcohol. And alcohol is soluble in water, so a sugar syrup is a perfect place to put extracts of things like vanilla, almond, peppermint––and they are widely available. If you want spicy cinnamon in your coffee, this is the best way to get it in there. Or if you can't get enough of hazelnut, this is going to be the best way to get that into your final cup. A sleeper, but amazing flavor combination that will make for a special cup of coffee (especially some coldbrew)? Blueberry. Blueberry coffee. It's a thing. 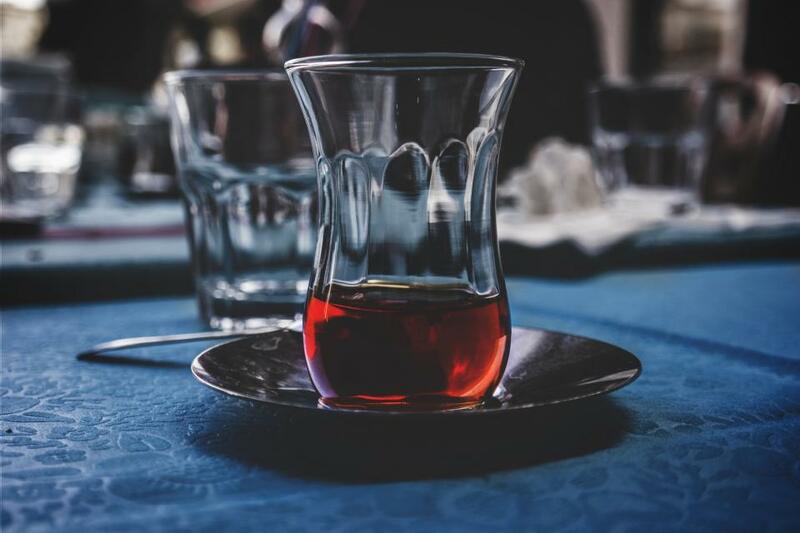 Between extracts, caramelization, the varieties of sweeteners and the possibilities of alcohol extracts, sweeteners can do a lot to your cup. But there is one more venue for flavor, and its especially useful for those flavors from spices, herbs and other ingredients where you are trying to preserve the freshest and most deeply-hued flavors. Just as the flavors in extracts are water soluble, flavors in other ingredients are fat soluble. And this means that putting them in your cream is the way to go. The base for these should be a mixture of a cup of half and half with a half-cup of sugar. But if you want to taste vanilla in ways that no extract can manage, split and scrape a vanilla bean into a double-batch of the above mixture while it is boiling and leave it to steep until the mixture is cool. Strain and add to your cup. You could do the same thing with herbs like peppermint or spice mixtures like the cinnamon-nutmeg-ginger-clove-allspice that goes into pumpkin spiced things. But the real place where cream shines is alongside cocoa. A half-cup of cocoa alongside the above mixture is basically an insanely rich hot chocolate. (I mean, it's all half and half, so.) But that rich hot chocolate mixture does magical things when brought into contact with coffee. And in a few bruised peppermint leaves to the cream mixture or, failing that, add a few tablespoons of peppermint sugar syrup, and you have something truly special. For adult drinkers, there is another obvious venue for adding flavor to your coffee: booze. Now, here, I'm not just talking about an alcoholic instinct to add a shot of Jameson's to your morning cup. I'm thinking of something more deliberate. The world of coffee-appropriate liquors is vast and one need not be limited to Kahlua or Bailey's. Try an Italian nocino for a walnut-y flourish, or something delicate like an apricot schnapps. Something citrus-y like Grand Marnier can be a terrific accompaniment to a similarly acidic African coffee, like something from the Sidamo region of Ethiopia. This works for iced coffee too in the off-holiday season. Coconut is an amazing partner with coffee––a splash of coconut rum in a glass of cold brew coffee can absolutely make a drunk brunch. Just remember––alcohol and caffeine do not cancel each other out. So drink your adulterated coffee responsibly.